This review first ran in the Dec. 22 edition of The Hamilton Spectator. Some of us are blessed to work for a great boss. There are no surprises. Expectations are clear. Our boss wants us to give an honest day’s work. She counts on us to stay positive, be a team player, pitch innovative ideas and deliver outstanding results. She also wants the best for us and finds ways to help us grow and succeed. But maybe you’re cursed to report to an international man of mystery. His moods, motives and motivations are indecipherable. His expectations are vague. Maybe he’s insecure, a control freak, career focused or driven by a healthy ego. The uncertainty leaves you a nervous wreck at work and miserable at home. You’ve cast yourself as the victim. Your boss is the villain. And everything’s his fault. This is not a healthy way to spend your days. If you’re keen to improve your most important work relationship in 2015, the onus is on you. Your boss won’t spend a minute thinking of you over the holidays. Vowing to make amends will not be his New Year’s resolution. Start by studying your boss and getting answers to 10 questions. When and how is your boss most approachable? What is his preferred management style? What behaviors does he reward? What is he trying to accomplish in this role? What is he worried about? What is his reputation in the company? Whom does he respect? Where does he have influence? What is his relationship like with his boss? What is his primary motivation? Now look at how your boss sees you. “You’ll have to put away your ego or biases to build an impartial view of how she really sees you.” Ask yourself five questions. What does your boss value about you? How vital are you to her mission? What does she think you need to improve? How does she represent you to others? And what is her history with you? 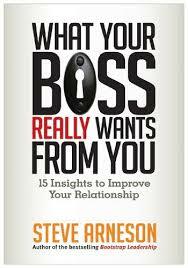 Your most important relationship at work is with your boss. For better or worse, she decides your fate. Quitting your job and starting over somewhere else is one option but you could find yourself working for a new boss who’s a lot like your old boss or even worse. Before jumping ship, it’s worth taking stock of the boss you have and taking the responsibility to build a stronger relationship in 2015. This review first ran in the Dec. 8 edition of The Hamilton Spectator. You’ve stocked your senior executive team with the sharpest analytical minds that money can buy. They’re masters at making the numbers and keeping the trains running on time. But your dream team’s a bust and your organization’s in trouble if no one trusts them. 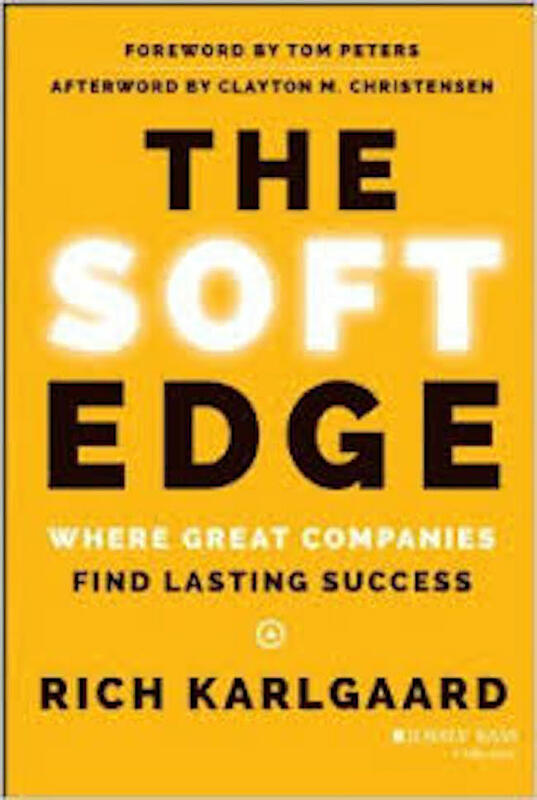 Trust is the force multiplier of all things good in your organization, says Rich Karlgaard, author of The Soft Edge and publisher of Forbes magazine. Trust gets you engaged employees and loyal customers. Trust gives you a recruitment and retention advantage and lands you on top employer lists. Trust buys you grace, forgiveness and a second chance when something goes wrong. “Maybe most important, trust underpins innovation by facilitating learning and experimentation,” says Karlgaard. Trust is one of five pillars that make up the largely misunderstood, neglected and underfunded soft edge of business that’s essential to lasting success for any organization. You also need to execute precisely on the hard edge of business, where it’s all about speed, cost, your supply chain, logistics and capital efficiency. But to be great, you must also excel on the soft edge of business, with a focus on trust, smarts, teams, taste and story. So start by asking for the hard truth. Do the people you serve inside and outside your organization trust you? If not, make trust-building job one in 2015.